FNB Allendale Mobile Banking takes you beyond the typical mobile banking app. You can aggregate all of your balance and transactional data from multiple financial institutions into a single, up-to-the-minute dashboard view giving you the ability to master your financial picture. Use FNB Allendale Mobile Banking for Account to Account Transfers, Bill Pay, Mobile Deposit and as a digital check register. Enter transactions as they occur, rather than waiting for the transaction to post to your account - no waiting, no guessing, and trying to remember - just an automatic, updated balance. Keep family members in sync, too. When something is changed on one device, the automatic account sync will push the update to all other devices using that FNB Online Banking user name and password. Spend less time wondering and more time knowing, which means you will stay organized and always in control. Click here to read through frequently asked questions. Go beyond mobile banking.... Download our app today! FNB Allendale Mobile Banking is available to FNB Online Banking customers. All terms applicable to FNB Online Banking apply to FNB Allendale Mobile Banking. The downloadable app is free to download. Your mobile carrier may charge access fees depending upon your individual plan. 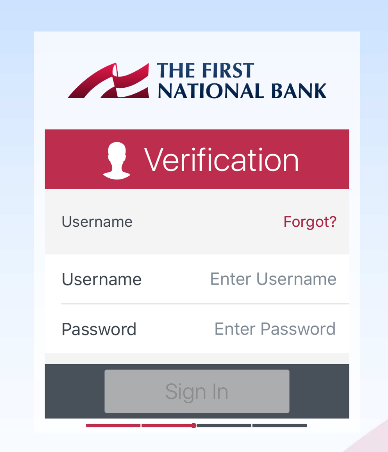 Web access is needed to use FNB Allendale Mobile Banking. Message and data rates may apply. Check with your carrier for specific fees and charges. System availability and response time are subject to market conditions.